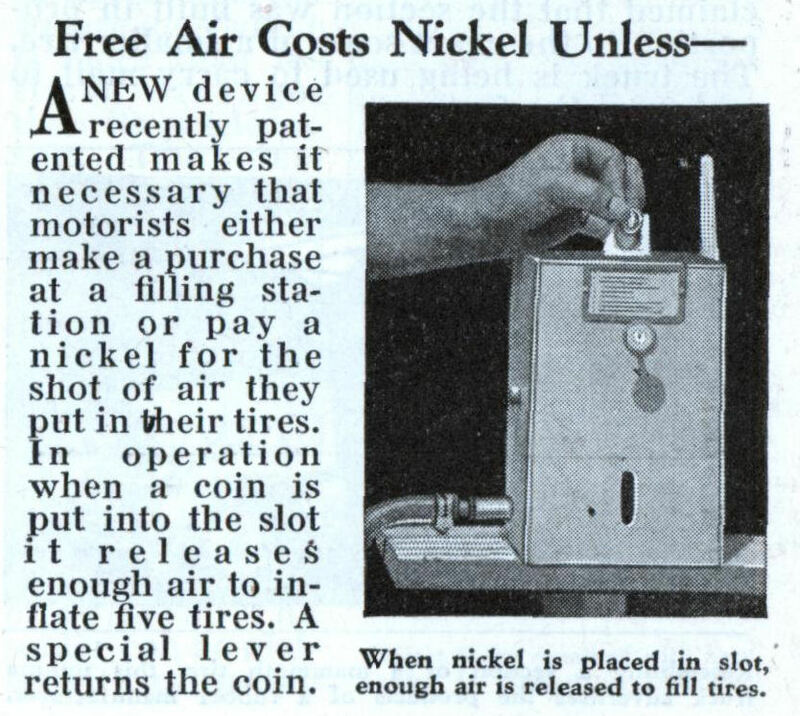 ANEW device recently patented makes it necessary that motorists either make a purchase at a filling station or pay a nickel for the shot of air they put in their tires. In operation when a coin is put into the slot it releases enough air to inflate five tires. A special lever returns the coin. The gas station near my home has an air hose that only functions after depositing fifty cents into its coin slot. By my calculations that’s a 1000% increase over 75 years. That sounds like a lot. On the other hand, it works out to only six tenths of a cent a year. That sounds like a good deal. Given that most stations don’t charge at all, it costs an infinite percent more in 1933 or 2008. That can only mean a zero percent yearly increase. Given inflation over the same period does that mean the cost has actually gone down? Hmmm…. In some states, such as Connecticut, it is illegal for gas stations to charge for air. While many stations in those states still have machines with coin slots, you can just go inside and get tokens to use. Growing up in the 80’s, the closest gas station had the old-school pump where you would dial in your desired pressure. 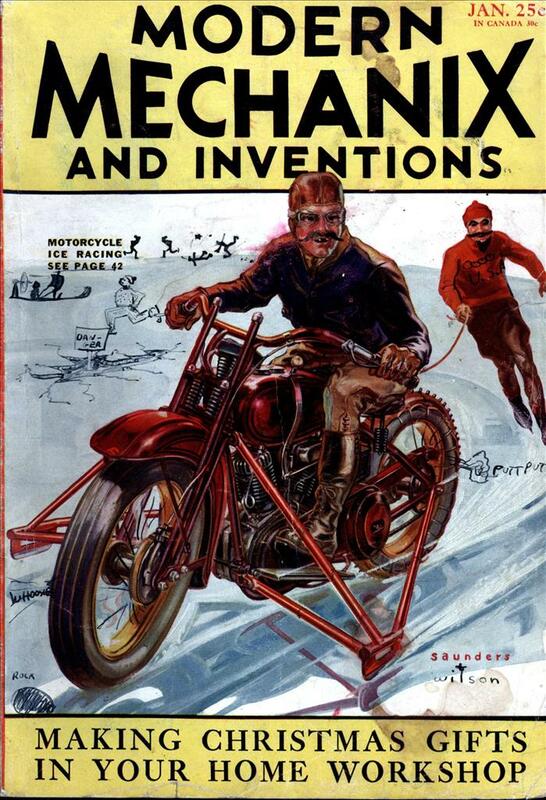 It was used mostly by kids looking to fill up bicycle tires.